Price in Reward Points : 400 Only 25 Left Need More? 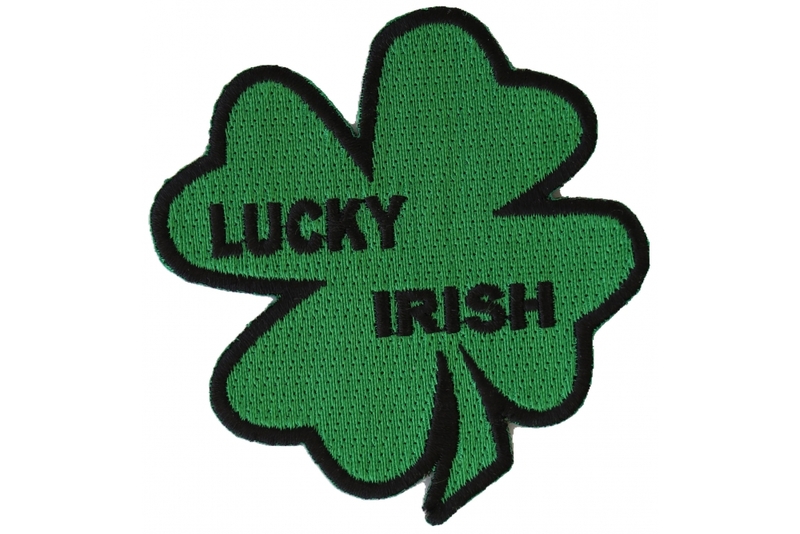 For those extra luck Irish the 4 leaf clover shamrock patch measures 3 inches. Embroidered in green and black. The Patch is Embroidered. 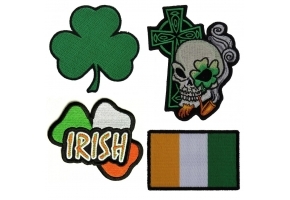 Patches are also known as iron on appliques or badges. This is a sew on patch, it features die cut borders. You can sew on this patch. This is also an iron on patch with plastic iron on backing that has been treated with heat activated adhesive. You can heat press this patch. Refrain from ironing on a patch to leather jackets or vests. You should only sew patches when applying to leather such as vests, jackets, chaps, purses or wallets. Add a personalized look to plain old clothes you wear with iron on patches. Apply for a wholesale account if interested in making bulk patch purchases. 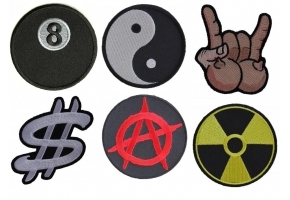 Patches are great to resell on EBay or at your regular store.